Following up on the iRoar, Creative also launched a miniaturized version of the iRoar, creatively titled the Creative iRoar Go. The new Creative iRoar Go promises the same powerful performance of the Creative ROAR series, except it’s now not only smaller and even more portable than ever, it’s also weatherproof to ensure a little splash doesn’t ruin your day. 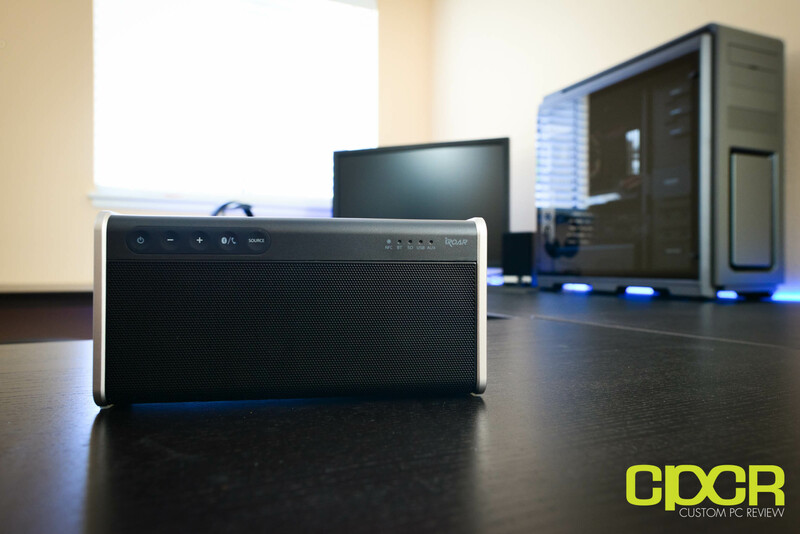 How does Creative’s latest Bluetooth speaker stack up? Let’s take a closer look! Here’s a look at the packaging for the Creative iRoar Go. 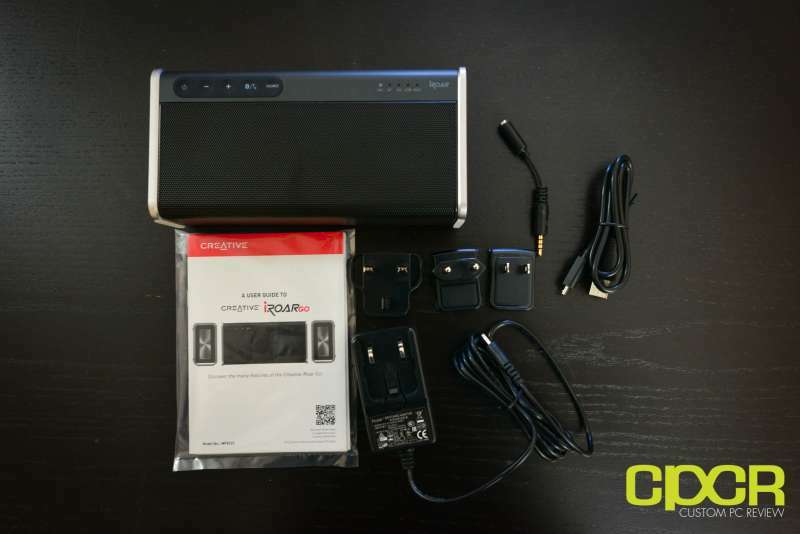 Included in the packaging is some documentation, a power adapter with an array of international adapters, a 3.5mm microphone extension cable, a microUSB cable, and the iRoar Go. Here’s a closer look at the top of the Creative iRoar Go. 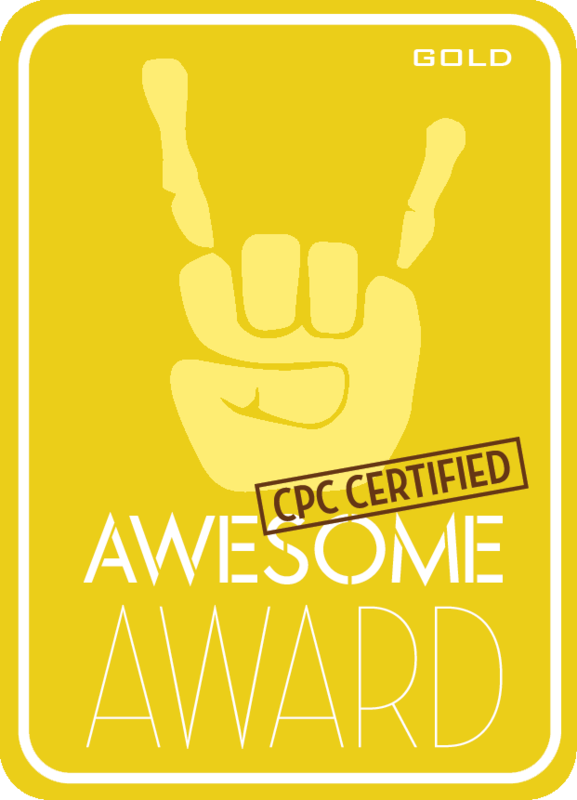 If you’re familiar with the product line, it utilizes a similar design to previous Creative Roar and iRoar products. Top button layout on the Creative iRoar Go is fairly simple. At the top left there’s a power, volume up/down, Bluetooth/call, and source button. 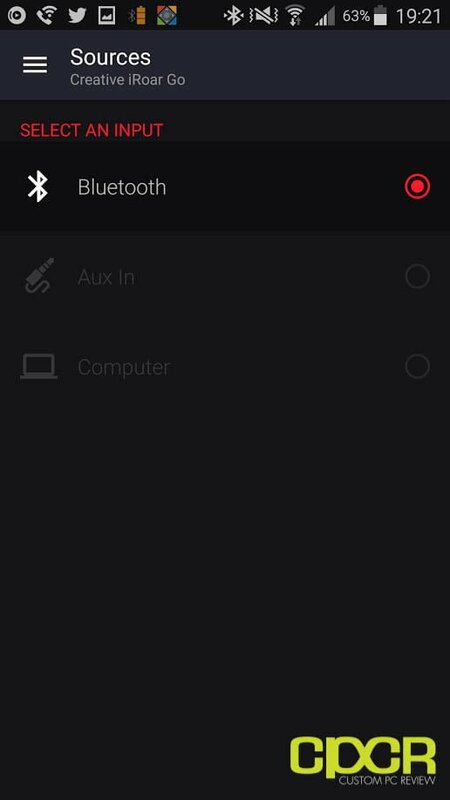 At the top right is a source indicator which lets you know which source the device is playing audio from. At the rear of the Creative iRoar Go is a few more buttons which allow play/pause, skipping tracks, shuffle, recording (to microSD card), as well as a ROAR button which will engage the Creative iRoar Go’s ROAR functionality or it can also be used to activate the iRoar Go’s equalizer functionality. As the Creative iRoar Go is weatherproof, the ports onboard are protected underneath a rubber weatherproof rubber cover. Underneath the cover is a DC in port, aux in port, USB Type-A DC out (for charging USB devices) port, microUSB port, and a microSD card slot. 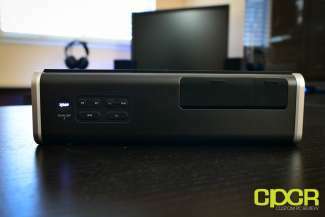 The side of the Creative iRoar Go is outfitted with passive radiators which pulsate when in use. At the bottom of the unit is a grille which allows any air to escape from the upward firing subwoofer. 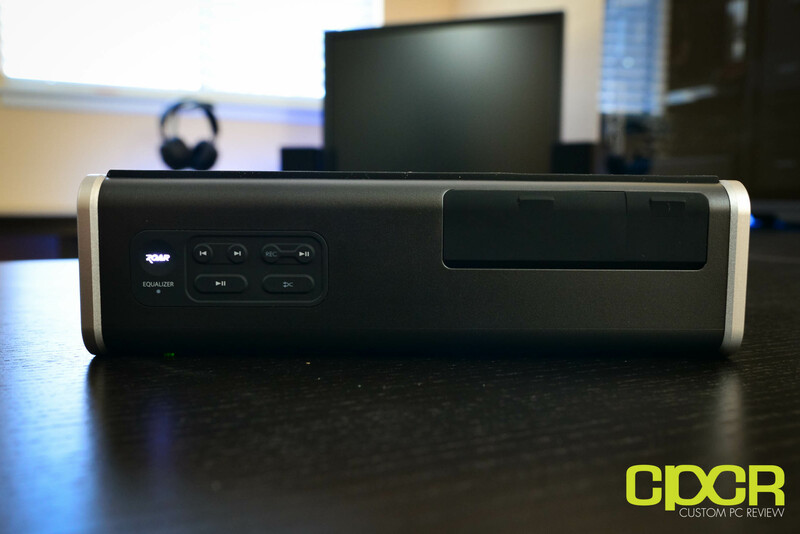 Here’s a look at the internal design for the Creative iRoar Go. 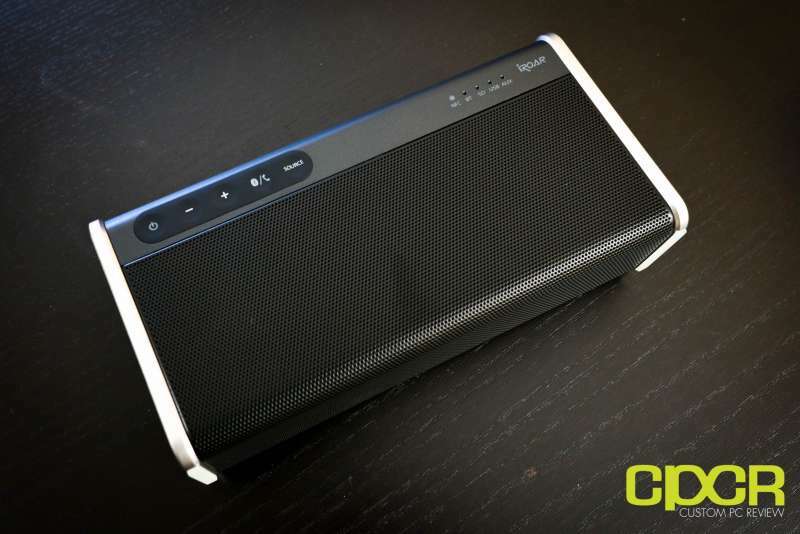 It’s very similar to what we’ve seen in the past for the Roar and iRoar series, but it still continues to be the most impressive Bluetooth speaker design on the market. 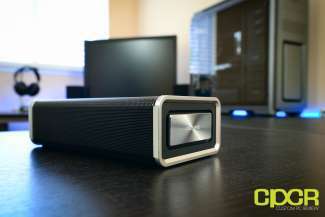 In the Creative iRoar Go, Creative has outfitted the system with two 1.5″ tweeters and a 2.5″ subwoofer. The entire system is powered by a bi-amplified design which provides separate dedicated amps for the tweeters and the subwoofer. 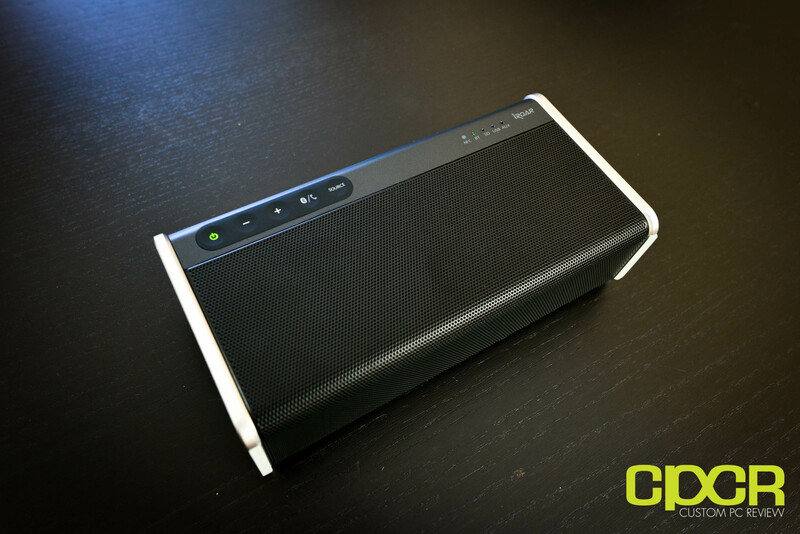 Here’s a look at the Creative iRoar Go when powered on. In normal operation, the power button will glow green and an indicator LED will illuminate to show which source is selected. As power gets low, the power button LED will change from green to red. Here’s a look at the Creative iRoar Go (bottom) vs the Creative Roar 2 (top). Although the Creative Roar 2 is fairly small, the iRoar Go takes it a step further and cuts the size by what appears to be around 20%. 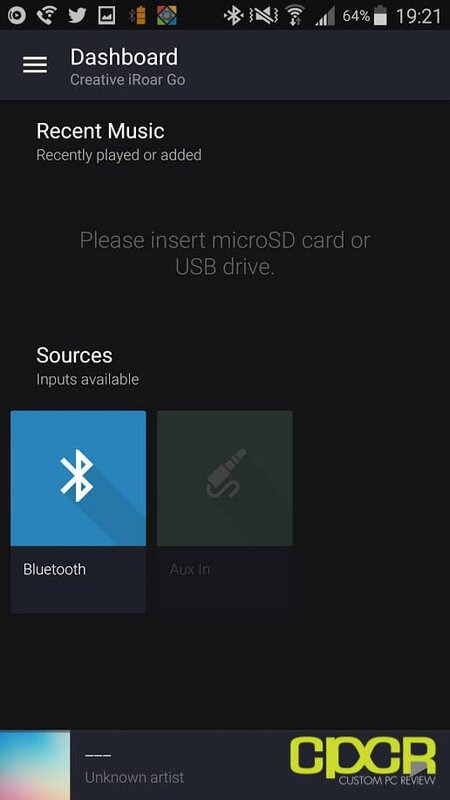 While many of the features of the Creative iRoar Go can be accessed via physical buttons on the speaker itself, some of the “intelligent” features can only be accessed via the Sound Blaster Connect app. 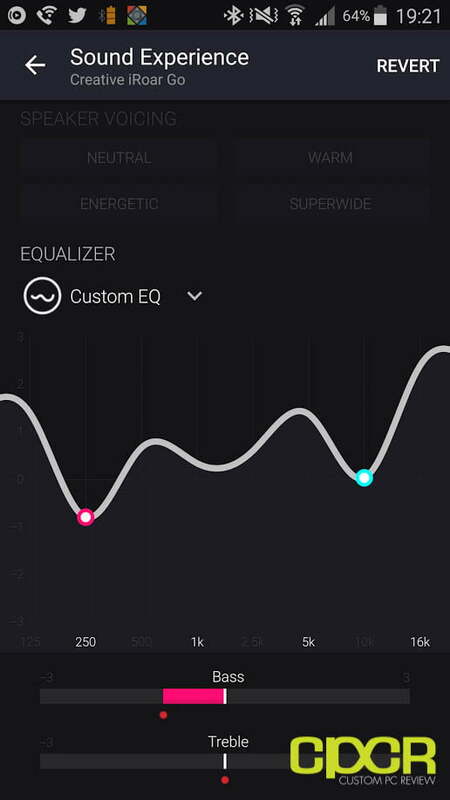 The biggest feature within the Sound Blaster Connect app is its ability to allow users to set custom equalizer settings. Creative also packs in several preset profiles such as Superwide, which attempts to create an extra wide soundstage or Warm, which attempts to create warm sounding audio. 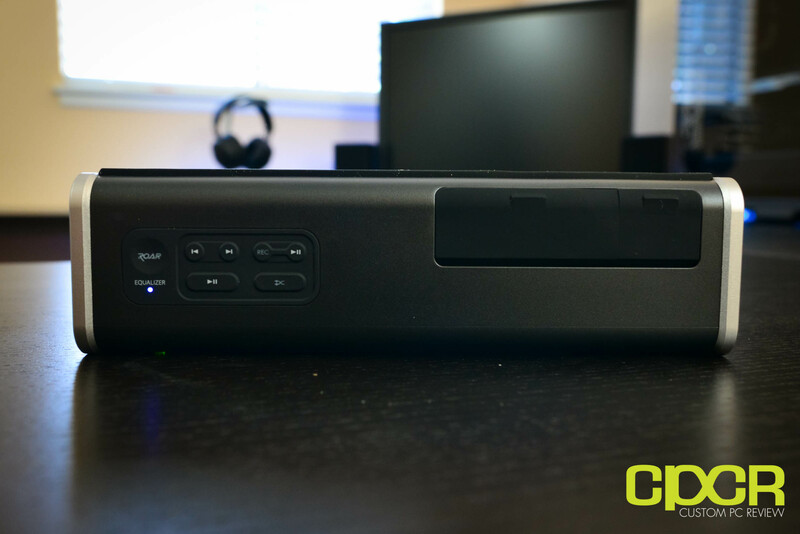 As I’ve had the opportunity to test many different Creative Roar products in the past, the Creative iRoar Go doesn’t strike me as anything significantly different. 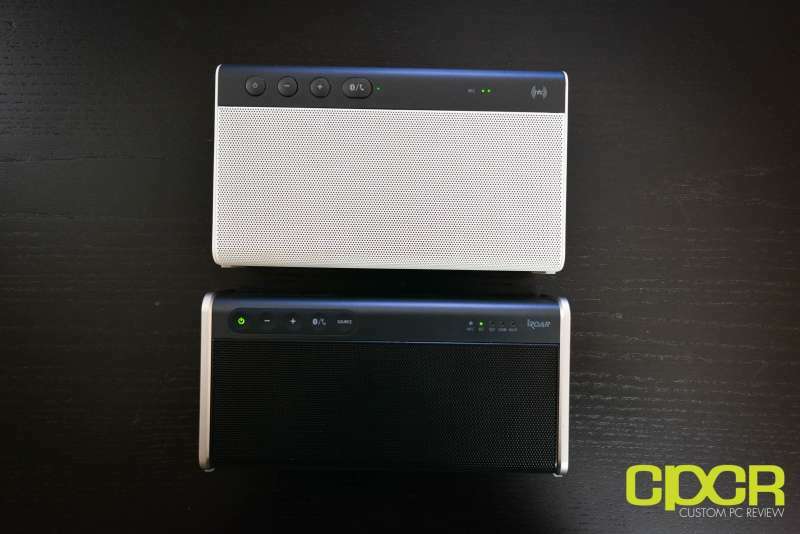 Sound quality with the Creative iRoar Go is tuned out of the box to emphasize bass and treble however, Creative doesn’t go overboard with either spectrum and does a fairly good job tuning their speaker. 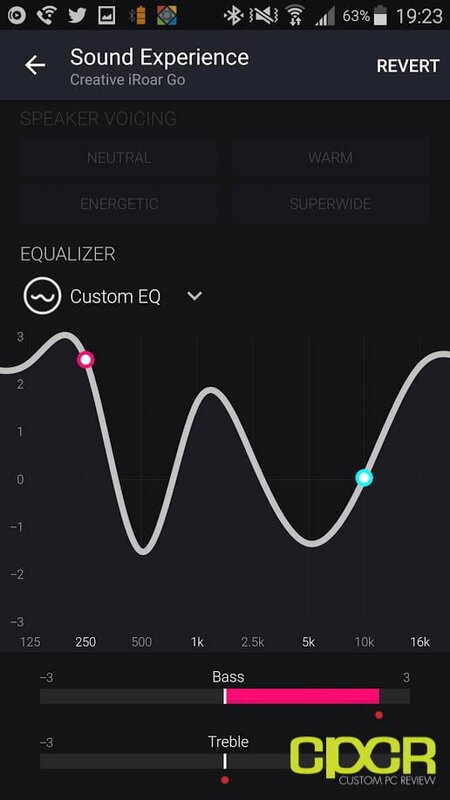 Of course, additional adjustments can be made through the equalizer settings or users can switch up a sound profile for those who want a different sound. 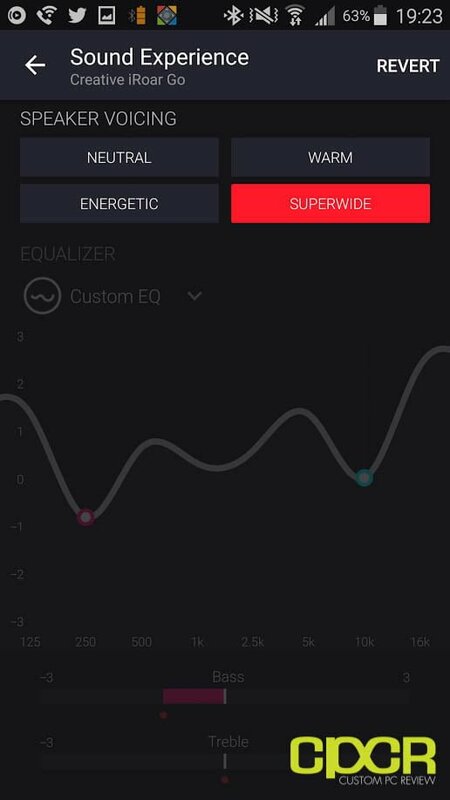 That said, equalizer changes are limited to +3 to -3, so the equalizer is quite limited in what it can do. One feature that’s heavily touted in the marketing materials is the Superwide sound profile. In testing, I found that Creative went a bit overboard on this one making a soundstage that attempts to be way too wide. The result is a tinny, fake sounding sound that makes almost all of the music I tested with unenjoyable. Like other Creative Roar products, the iRoar Go features a ROAR feature that allows it to get quite loud for a small, battery powered device. That said, the iRoar Go is at a significant disadvantage compared to its larger siblings as it doesn’t get anywhere near as loud as its larger siblings. While it does perform well even in larger indoor environments, if your primary use for the speaker is to provide party music for a large group outdoors, the iRoar Go is likely not for you. 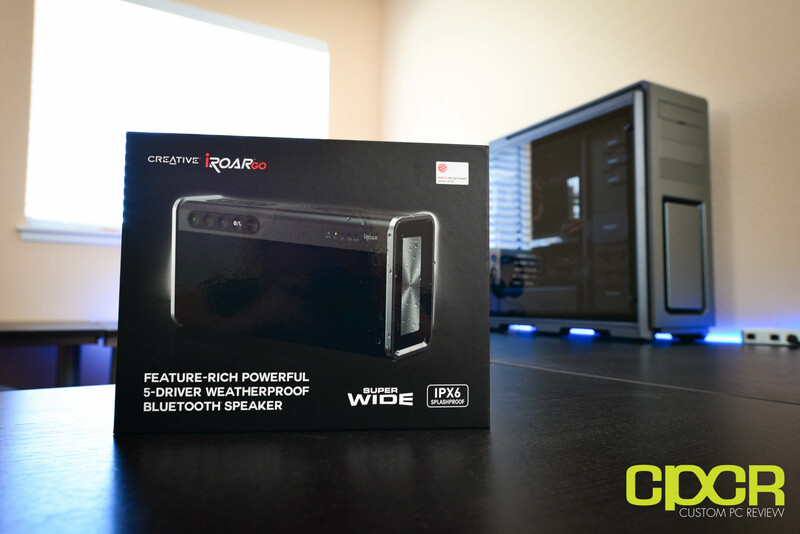 For those cases, I’d recommend stepping up to the larger Creative Roar Pro or the Creative iRoar. That said, in my testing, it’s perfect for playing some music for a small group at the beach or working in the garage at home. Battery life on the Creative iRoar Go is rated at up to 12 hours, which I think is a bit lofty. 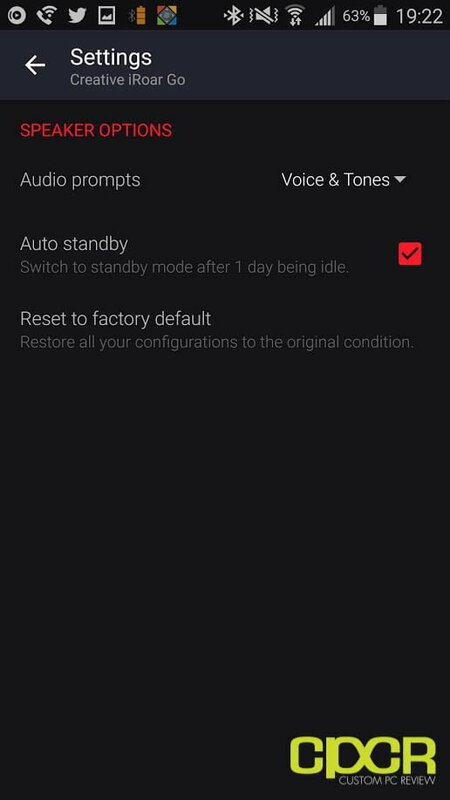 In my use, battery life was somewhere closer to around 8 hours with music streaming from Bluetooth playing at a reasonable volume. 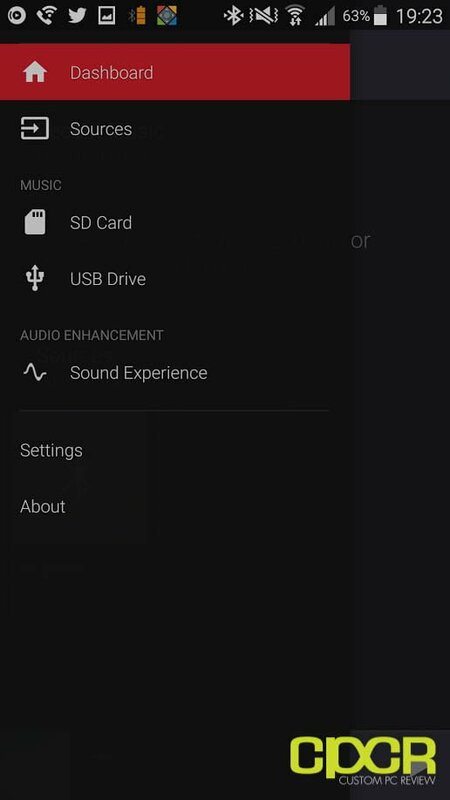 That said, if you use a wired connection and play music indoors at lower volumes, the device will definitely last a bit longer. Over the years, Creative has launched quite a few products under the Roar and iRoar series with some extremely good and some not so much. The Creative iRoar Go is one of those good products. During my several week long testing period, I found myself quickly replacing the Roar 2 with the iRoar Go in my backpack. Not only is the iRoar Go more portable while still retaining that signature good sound quality we’ve come to expect from Creative products, having the additional peace of mind that it’s weatherproof ensures that I don’t need to worry about a little unexpected rain damaging the device. Pricing on the Creative iRoar Go is $199.99, which is on the pricey side for a Bluetooth speaker. That said, it’s a very unique product with a value proposition that no other Bluetooth speaker on the market can match. If having the most portable, best sounding, weatherproof speaker is what you need, the Creative iRoar Go is an excellent choice however, keep in mind Creative’s own Roar 2 is not that much bigger, not that much heavier, has better sound quality, and costs less.